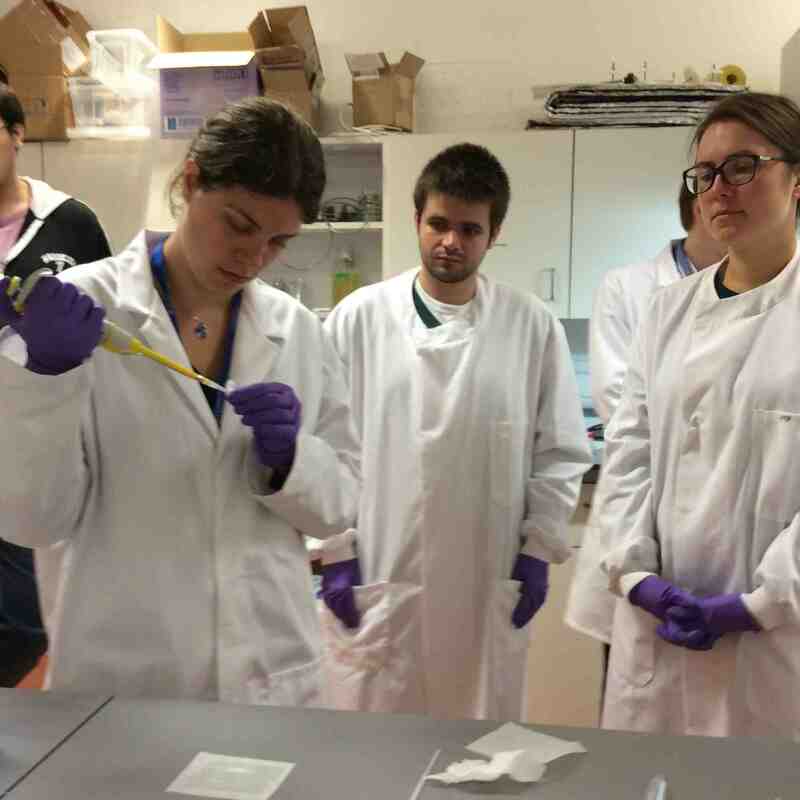 Today we had the second microfluidics half-day for the SynBio students. We really enjoyed our time with them, and hope they enjoyed it too. Thanks to our “training” yesterday, we were able to speed up things a bit, with the result that the students managed to extract tracks of swimming microalgae from their movies (this is a step further than just recognising the position of microorganisms in individual frames). Three extra guests joined the students: Munehiro Asally, a newly recruited Assistant Professor in Life Sciences here at Warwick; Paul MacDonald, a new Ph.D. student of Alfonso Jaramillo; and Christopher de Wolf, a technician/researcher from Orkun Soyer’s lab. Today, we hosted the first half of this year’s cohort of new Ph.D. student from the SynBio CDT for a chat about microfluidics. The students had a varied background (physics, chemistry, biology) but were all equally enthusiastic! 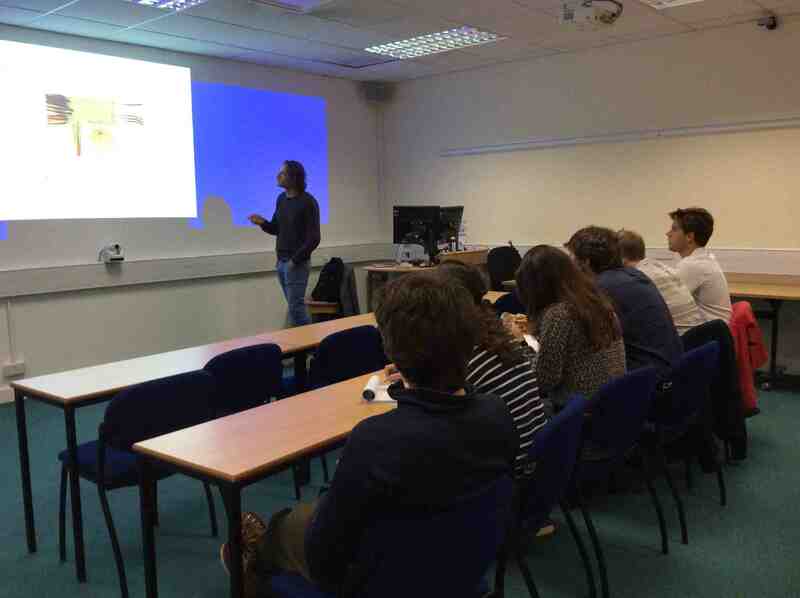 We started with a presentation on microfluidics by Raphael, before heading down to the wetlab where we saw how to cut and bond a PDMS microfluidic channel onto a glass coverslip. Then the students took turns to cut a piece of glass capillary onto a microscope slide and filled it with a suspension of swimming algae (Chlamydomonas). The group then moved to the microscopy room to observe the algae and record a movie of their motion. Finally, they tried to make the computer recognise the position of the microorganisms in their movies using a particle tracking Matlab code. They actually managed to do it quite well! Well done everybody!! Next week we will help with the teaser week for the first intake of Ph.D. students of the new SynBio CDT co-sponsored by EPSRC and BBSRC in Warwick/Bristol/Oxford. 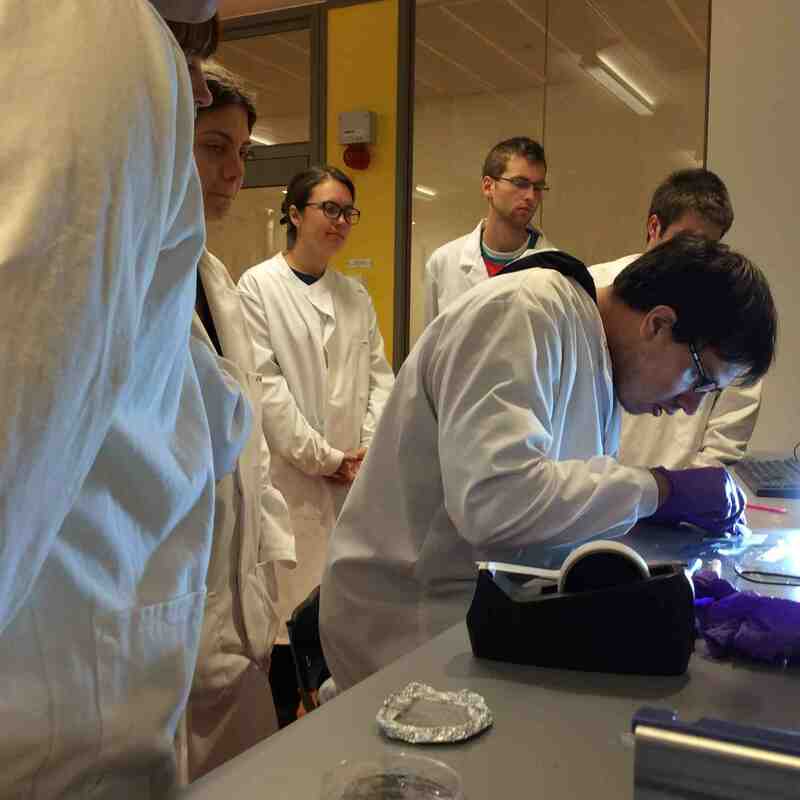 We are organising two sessions on microfluidics, on Wed 24th and Thu 25th, with hands-on practicals in the lab. Watch this space for pics and comments!